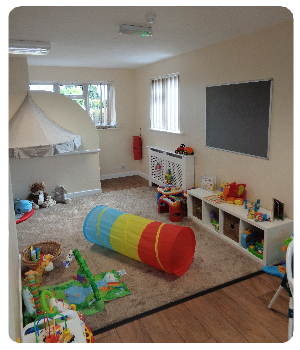 Our Baby Room is registered for six children and operates with a 1:3 staff to child ratio. It is well equipped with a carpeted play area and a variety of safe educational toys and resources that are rotated to encourage all round development. The Baby Room also benefits from its own changing area and kitchenette for the preparation of fresh food and snacks. Individual experiences for babies are planned on a daily basis. 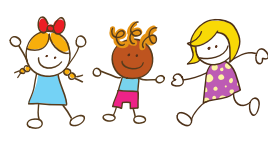 Children are assigned a key person to work closely with them and their family, so individual needs and requirements can be met.